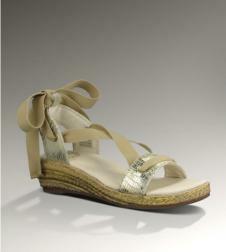 The Annete by UGG® Australia is a luxurious and glamourous shoe for young ladies. 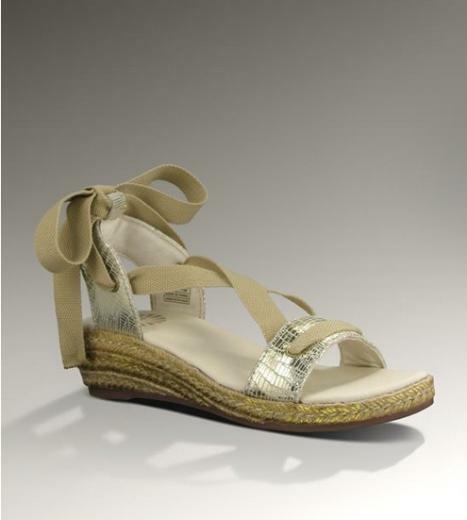 Combining lizard printed suede and summery jute trim on a slight espadrille wedge polished off with a sparkly metallic gold finish. A comfortable cushioned footbed and flexible rubber sole complete a shoe that fits both the fashion needs and childlike activities of today's young ladies.